Everyone is a theologian of sorts. Theology simply means thinking about God and expressing those thoughts in some way. But sloppy theology is a problem. As Christians, our thoughts about God need to coincide with what He's said about Himself in the Bible. With his clear understanding of the Scriptures and unpretentious writing style, Charles Ryrie has written Basic Theology for every student of God's Word, from the devotional student to the seminary student. Ryrie's name has become synonymous with dispensational theology and his texts on the subject invaluable to the Bible scholar. 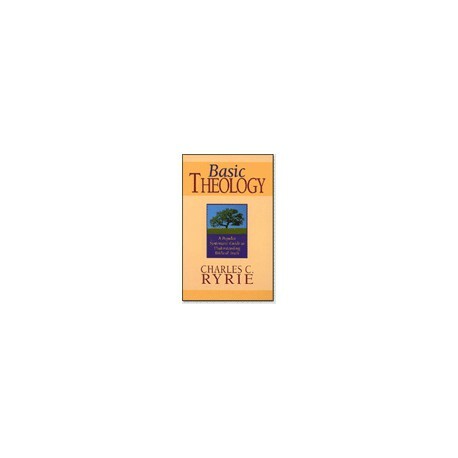 Featuring charts, definitions, and Scripture and subject indices, Basic Theology will give you a clear and comprehensive picture of Ryrie's approach to systematic theology. Its 94 chapters are arranged in outline style for easy reference. Considerable emphasis is given to explaining the dispensational view of the end times.